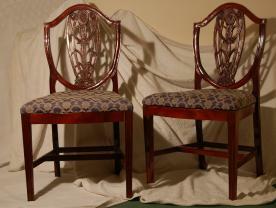 furniture specialists bas ed in Leeds, West Yorkshire. All of our pieces are custom made to the highest standards in a range of timbers and finishes to exactly your taste and specification. Our full design and fitting service means that you will be dealing throughout with the same craftsman that is making the piece to ensure that the work is carried out to our rigorous standards. As our work is bespoke it is ideal for any awkward areas in your home where a piece of 'off the peg' furniture would not be appropriate, and the piece would be designed to complement the existing furniture and architecture of the room. For more information on the services we have to offer please do not hesitate to contact us now.